As a mom of fourteen (! ), photographer Renee Bergeron has plenty of source material in her lively and loving brood, and she naturally found the inspiration for her Superhero Project series close to home. 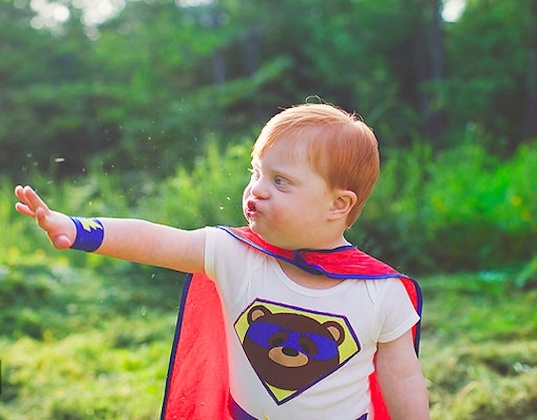 Her son Apollo, who was born with a double aortic arch and who has bravely endured multiple surgeries and medical setbacks, imagines himself to be a strong superhero, and Renee decided to photograph him as such, cape and all. Apollo loved the images so much that Renee, a lifestyle photographer by trade who specializes in birth and newborn photography, decided to expand the project beyond her own family. Bergeron connects with parents and finds out about their children’s personalities and preferences in order to cultivate a costume and atmosphere that will make each particular child feel comfortable and happy. Bergeron completes these photography sessions for free for the families, and the results are inspiring images that the whole family can cherish. Renee says that her goal in photographing these children, who have a variety of diagnoses including sensory issues, epilepsy, cerebral palsy, and Down Syndrome, is “to have these children view themselves as the strong, capable individuals that they are, not to focus on their struggles.” In addition to continuing with this empowering and innovative photo series, Bergeron is also writing a book about Apollo’s experiences. Apollo loved the images so much that Renee, a lifestyle photographer by trade who specializes in birth and newborn photography, decided to expand the project beyond her own family. Bergeron connects with parents and finds out about their children's personalities and preferences in order to cultivate a costume and atmosphere that will make each particular child feel comfortable and happy. 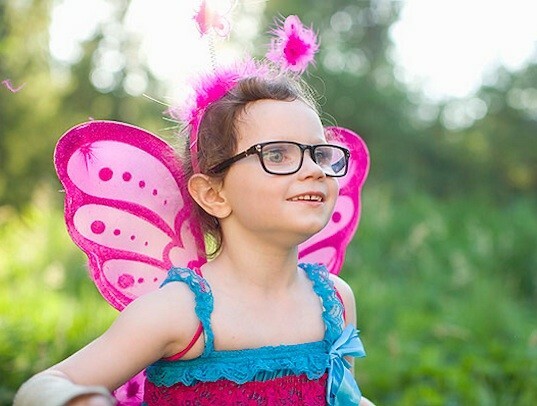 Bergeron completes these photography sessions for free for the families, and the results are inspiring images that the whole family can cherish. Renee says that her goal in photographing these children, who have a variety of diagnoses including sensory issues, epilepsy, cerebral palsy, and Down Syndrome, is "to have these children view themselves as the strong, capable individuals that they are, not to focus on their struggles." In addition to continuing with this empowering and innovative photo series, Bergeron is also writing a book about Apollo's experiences.